Sheila Ann Kelly Russell, age 67 of Milton, FL passed away on January 29, 2018. Sheila was born in Repton, Alabama to Sam and Euline Kelly. She was raised in Excel, Alabama where she graduated from Excel High School. 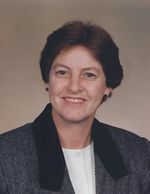 Sheila received her bachelor’s degree in Business and Physical Education from The University of West Florida. She was a nurturing wife and mother and a woman with an entrepreneurial spirit who was willing to do whatever it takes to get the job done. She alongside her husband cofounded R&K Buildings Inc. Sheila was raised in a Christian home and passed those Christian values and traditions on to her children and grandchildren. Sheila is preceded in death by her parents, Sam and Euline Kelly. She is survived by her husband, Glennon Russell; sons, Toby (Julie) Russell, Benji (Lei Anh) Russell; brother, Randy (Rose Marie) Kelly; sister, Nancy (John) Newton; Grandchildren: Alison, Emily, Blake, Ian, Autumn; and many other extended family members and close friends. The family would like to give a special thanks to all those involved in making Sheila’s life easier during her time of need. Funeral arrangements have been entrusted to Trahan Family Funeral Home of Milton. The public visitation will be at Berrydale Baptist Church (6730 FL-4, Jay, FL. 32565) on Friday, February 2 at 1:00 p.m. with the funeral to follow at 2:00 p.m.
Interment will follow at Old Fidelis Methodist Church Cemetery. To send flowers to the family of Sheila Ann Russell, please visit our Heartfelt Sympathies Store.